True or False? You can't wait to go back to school? As for me? It is bitter sweet. While I miss make up and actually wearing something other than yoga pants, I will miss my children too. I know the students will not exactly be, "In it to win it" when they get back to the classroom either. 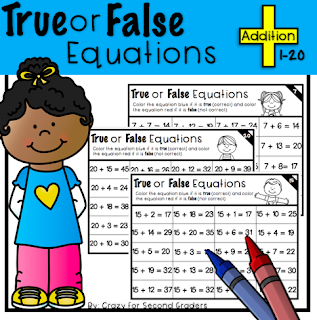 I created a true or false activity that simply includes them solving (mental math) and coloring. 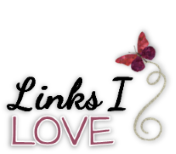 I feel that having a bell ringer all set up for the beginning days is key for success and my sanity for the beginning days. Check these out. 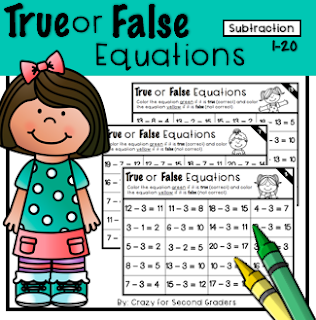 The BUNDLE is only $3.00 for addition and subtraction. 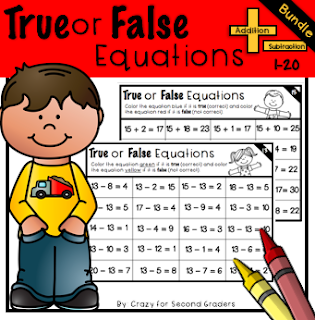 Let me know if you would like to see multiplication and division in the future.